The full arched Glass entry door is fitted with a custom designed Grill. Manufactured utilizing only select grade Honduras Mahogany lumber properly dried and procured from responsible controlled forests the doors are fitted with custom designed ASIEL levers and plates and are engaged with a multibolt security system. 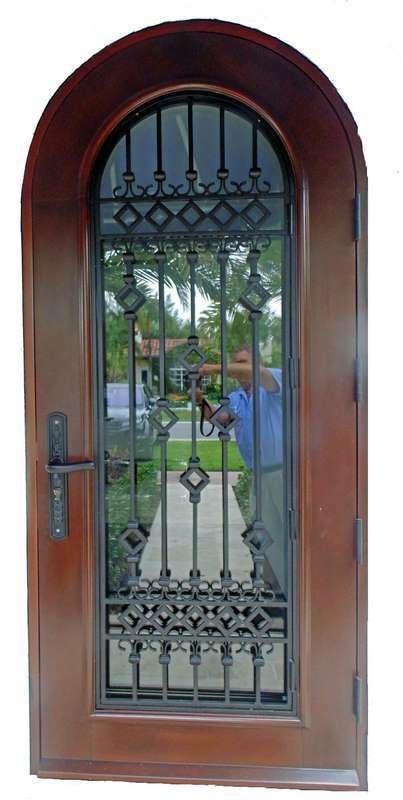 Operated with custom designed BRICKEL hinges the door is installed in Miami Beach. The Alton Road doors are installed in Boston, Frt. Lauderdale, Naples, Miami, and Tampa.